Emma Ovella Turner, 84, of 260 McDaniel Road in Eden passed away on Friday, September 14, 2018 at her home. A graveside service will be held at 1 pm on Tuesday, September 18, 2018 at Roselawn Memorial Gardens. The family will receive friends from 12- 12:45 at Fair Funeral Home before proceeding to the grave and other times at the home. Mrs. Turner was born on February 5, 1934 in Martinsville, VA to the late Fleet Abraham Boaz and Mary Sue Gibbs Boaz. She was of the Baptist faith and attended Tri-City Baptist Church. Ovella was a wife, mother, homemaker, and friend. She believed in the Lord and always wanted to be surrounded by her family. While missed on earth, she is welcomed in Heaven. 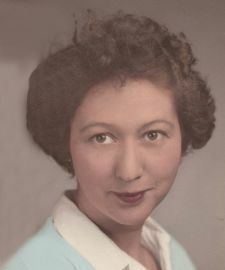 Ovella is survived by her sons, Walter James Turner, Jr., and wife, Roseanne and Mark David Turner and wife, Maria; daughter, Missy Baker and husband, Jerry; grandchildren, Roxanne Turner, Houston Turner, Luke Baker, and Katelyn Turner; great-grandchild, Reece Williams; and sister, Diane Stigall. Along with her parents she was preceded in death by her husband, Walter James Turner, Sr.; sisters, Mary June Martin, Doris Dawn Boaz and brother, Houston D. Boaz. Dianne. Gary and I was sorry to hear about the passing of your sister Ovella. You and the family are in our prayers. So sorry for your loss, knew Ovella for long time through my Mother Doris ,what a sweet lady she was always whenever I saw her. GOD BLESS YOU ALL !